Matt Thompson has close to two decades’ experience reporting on the sporting industry. 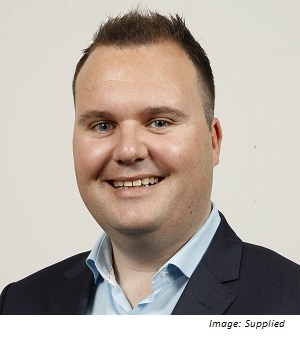 He is currently a breakfast presenter at Macquarie Sports Radio, and a senior reporter, producer and presenter at AFL.com.au. Matt has worked in media, in both on air and off air roles, since 2003. His Twitter handle is @MattThompson. With your experience reporting on the sporting industry, what advice would you give to a young journalist wanting to join the industry? Persistence and know your place. Opportunities are really hard to come by but, when they do, you have to own them, while at the same time not being arrogant about it. You’re probably going to be working with some pretty established people, so it’s important to be really professional and work hard. You need to earn the respect of your colleagues. What was your experience covering the Olympic Games? Before having kids, and meeting my partner, going to cover the Olympics was the best thing I’d done in my life. It’s hard to describe but, when they’re on, the Olympics are the biggest story in the world, and for a reporter it combines on-field action with off-field drama. But it’s not a holiday, it’s incredibly hard work but very rewarding. For a press release in your inbox to grab your attention, what should the heading contain? We need to know what we’re going to get for our audience. We’re always happy to plug a brand associated with a sports star, but we have to get something out of it. Tell us that in the heading. What sporting issues would you like to see more media coverage on? Now the drama of the Essendon scandal is over, I’d like to see the Australian Sports Anti-doping Authority (ASADA) as an organisation come under more scrutiny. It’s such an antiquated process, and there needs to be more transparency. As someone who is very active on social media, how has it helped you in your work? Twitter in particular has changed sports reporting. Most stories now break on social media, and the news cycle is faster than it’s ever been. It’s also handy to chat with those who consume our content, and get real perspectives on the issues we’re covering.